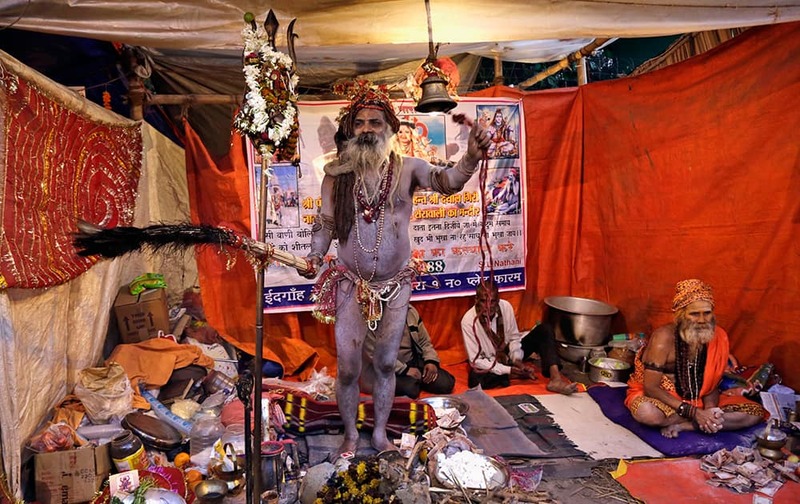 A Naga sadhu or naked Hindu holy man rings a bell to attract pilgrims to receive offerings at his resting place inside a transit camp on the way to Gangasagar, in Kolkata. 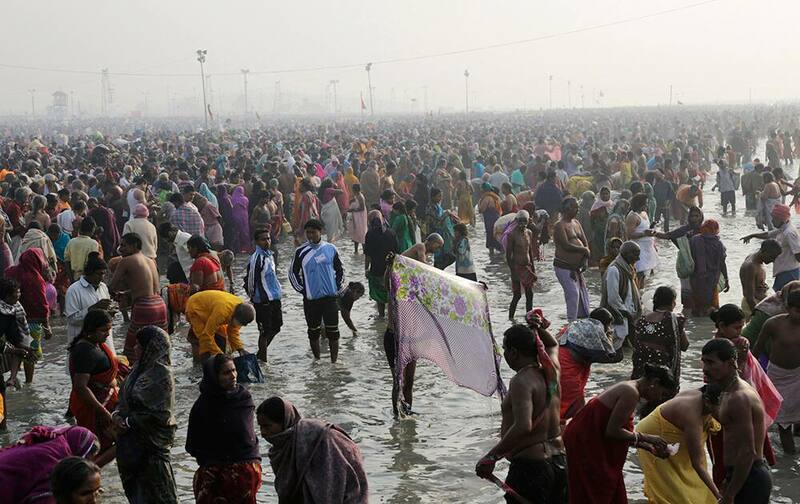 Pilgrims gather to take a holy dip in Gangasagar. 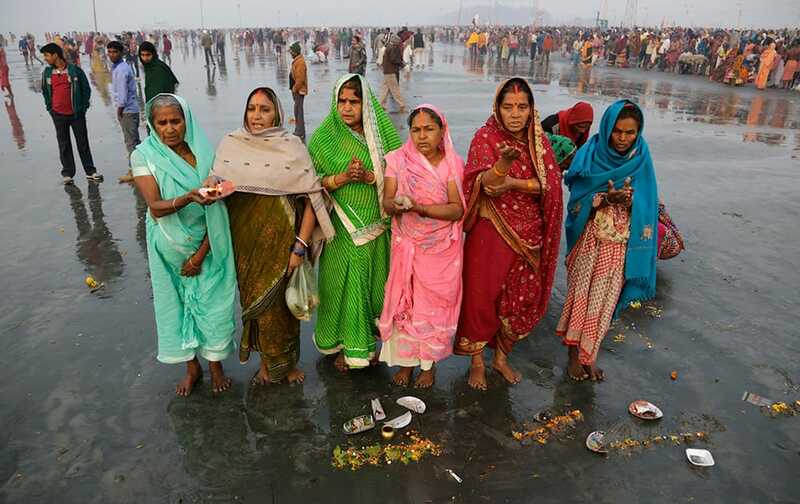 Hindu pilgrims offer prayers to the Sun God after taking holy dips to mark Makar Sankranti festival in Gangasagar. 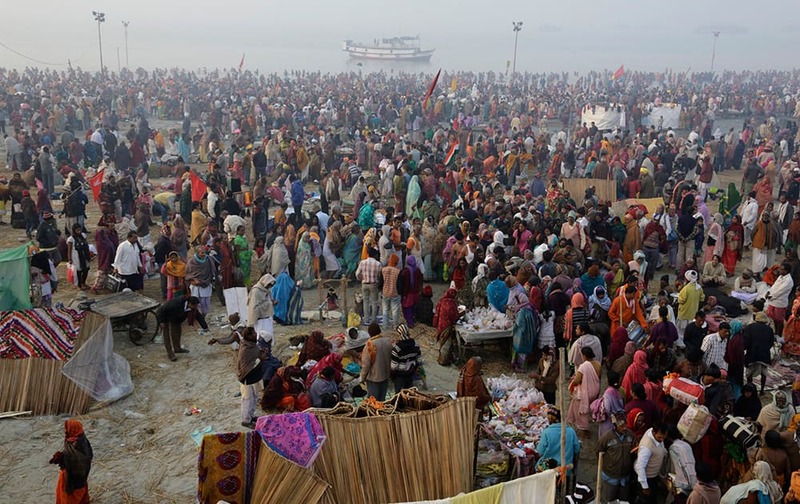 Hindu pilgrims gather on the banks to take holy dips to mark Makar Sankranti festival in Gangasagar. 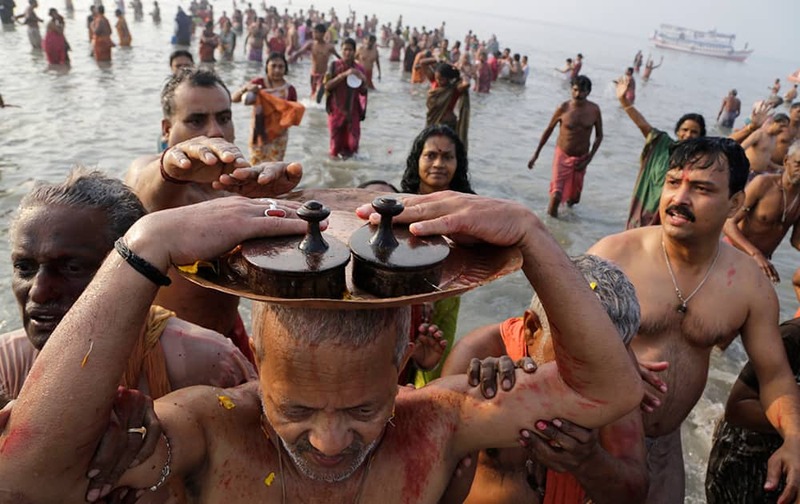 A Hindu devotee carries a pair of wooden slippers belonging to his late Guru, or spiritual teacher, on his head as a sign of respect after taking a holy dip to mark Makar Sankranti festival in Gangasagar. 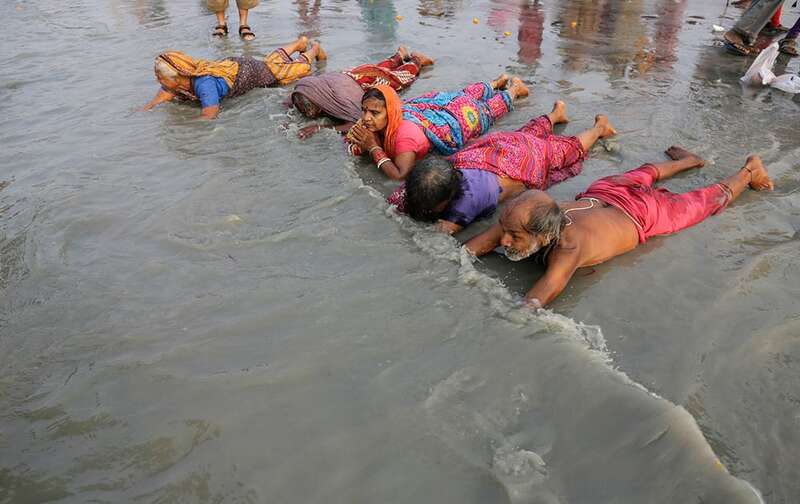 Hindu pilgrims offer prayers prior to taking a holy dip in Gangasagar. 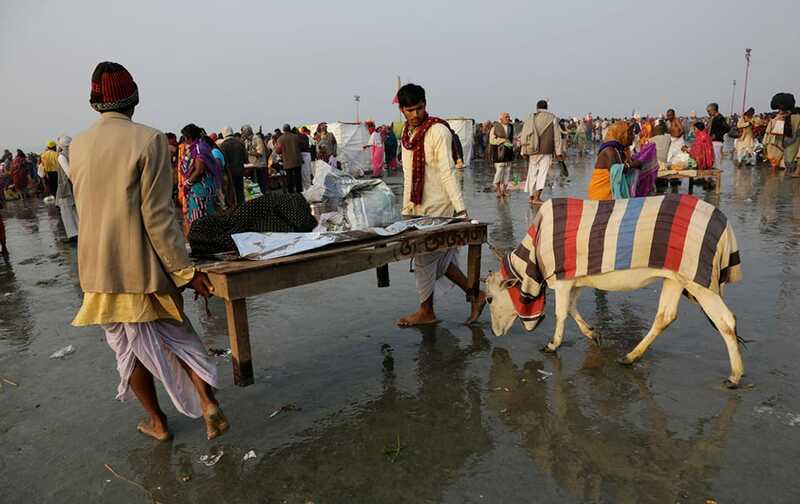 Priests move a platform with a cow tethered to it at Gangasagar. 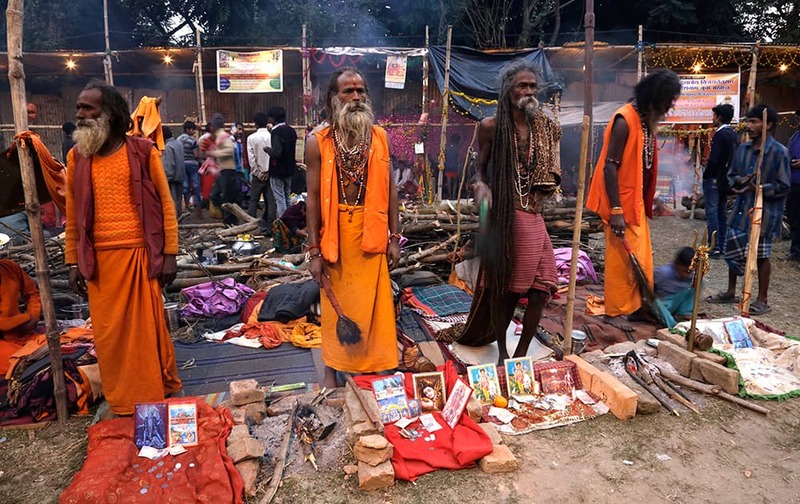 Sadhus, or Hindu holy men, look to attract pilgrims to receive offerings at a transit camp on the way to Gangasagar, in Kolkata. 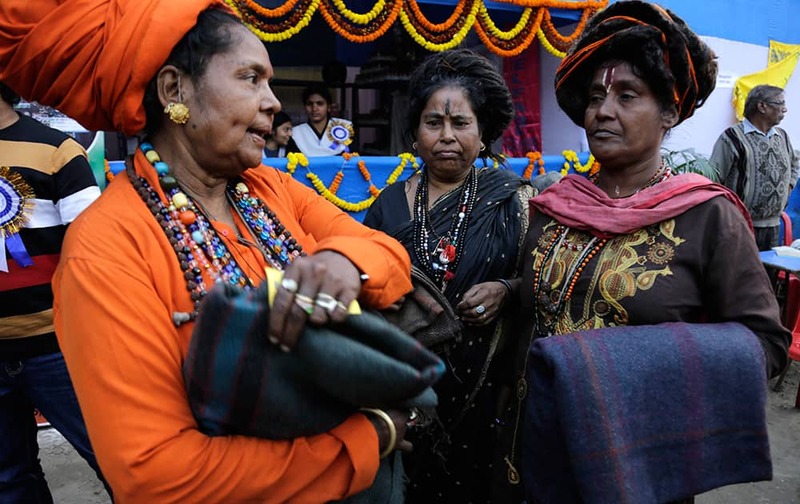 Hindu holy women talk after receiving blankets distributed by charitable trusts at a transit camp on the way to Gangasagar, in Kolkata. 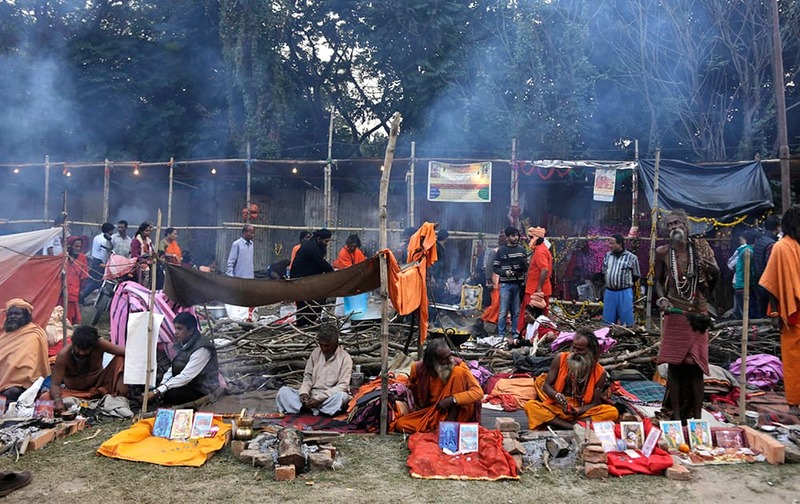 Pilgrims and sadhus, or Hindu holy men, set up their resting space at a transit camp on the way to Gangasagar, in Kolkata.